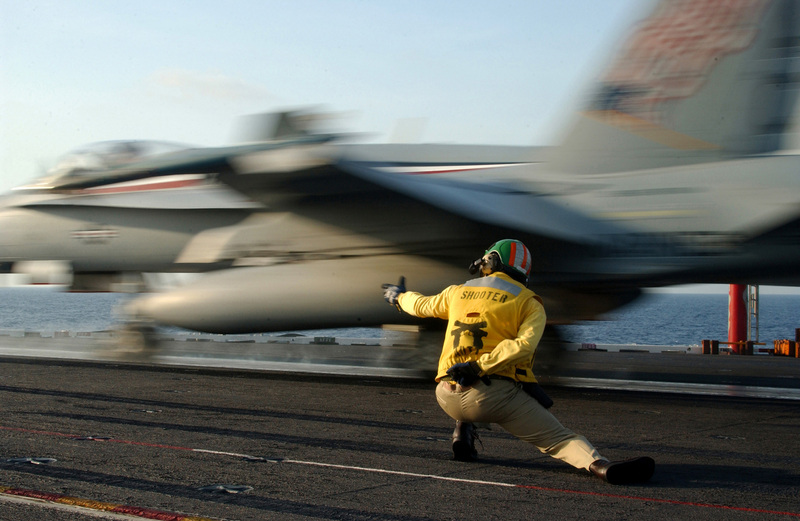 Flying from Navy aircraft carriers was a crazy-fun, unique adventure. That’s right… a bunch of mostly 20-somethings, flying some of the most complex machines in the world into combat, in a constantly changing, hazardous work space. To no one’s surprise we created, experienced and sometimes aggravated a host of problems. Our culture, however, was largely based on figuring out how to avoid repeating the problems or mistakes we identified. Our means of identifying problems often originated in our Debriefs. Our method of solving for those problems was made easier and more professional via our Debriefing culture. In the absence of a transparent Debriefing process, U.S. corporate cultures often evolve toward mis-defining problems, pretending they never occurred, kicking the can down the road, and ultimately solving for symptoms versus root cause. Professional and purposeful Debriefing solves for all that. On several levels. When problems from an event or project are identified in a Debrief, the team can begin the inquisitive process of root cause analysis and solution identification. The root cause may be agreed upon then and there, or a follow-on process can be arranged for later, with a solution put into place as quickly as practical. When taking a root cause approach to problems, teams should ask a relentless series of “Why?” questions for each outcome of the project. Why was this element a success? Why was this element not? As problems (and successes) are identified, pressing deeper with the “Why?” questions will generally lead to a root cause. Every organization or business model is unique, and I won’t pretend to offer a single root cause problem solving process for all in a single blog post. Listed below, however, are several ideas or examples to consider as you incorporate root cause problem identification into your Debriefing process. Were the objectives realistic, attainable, and clearly understood by all? Were all marketplace and competitor factors considered and planned for? Were contingency plans in place? Were people or teams organized properly and aligned to effect success? Did the right communications occur at the right time to effect success? Did events and action occur as sequenced or on the planned timeline? Did everyone have the resources needed to properly execute their assignment? Were the right people, with the right roles and the right experience in place to plan and execute the project? Did everyone have the training necessary to execute their role? Note: A person is usually not the root cause of a problem. Look more deeply into role definitions, job descriptions, recruiting and hiring practices, backgrounds, training, etc. Identifying problems and solving them to root cause isn’t easy. Asking “Why?” into several levels of a problem will be counter-intuitive in many corporate cultures, and frankly, it will freak some people out. That’s where sound leadership and change management is required. Root cause problem identification and resolution is a key benefit of Debriefing. Both can transform a company and its culture to a much more liberating, transparent, successful and fun place to work. Consider how bringing such a methodology to life might work in your organization, and let us know if we might help. ← Customer Success? Tell Us a Story! Does Your Sales Funnel Need an Anti-Inflammatory?